An open call to participate in the program Project Nursery. - Aimed at artists from various disciplines who wish to adapt to the demands of initiating a cross-disciplinary cultural project which may impact on social context. - It is seeking individuals or groups with a project, available to share knowledge in a double way: to provide and to receive it. - Temporary residencies depending on the project. It is organised through a temporary residencies programme with trainers and tutors, to seek ways of defining, implementing and developing projects. Combining techniques of training and instruction , understanding the project's process as a practical itinerary with the support of specialists and collaborators, involving participants in a two-way process where everyone participates as a trainer. Training to transmit and share one's own knowledge, and how to carry out a project. The intention of this programme is to provide work space, technical and conceptual support, and to give visibility to projects while looking for ways to realise them. 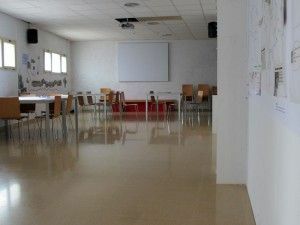 To meet this goal a shared workspace will be offered through the programme with the possibility of generating projects in co-production between residents (coworking community); assessment and monitoring of the research and production stages and further advertising (coaching) and ultimately, guiding and facilitating fund-raising. This last part may combine different fund-raising strategies to realise projects (crowd funding, grants etc). ACVic, through this programme, makes it possible to try out the combination of the three stages implicit in the experimentation and generation of ideas: training, production and funding to promote self-managed projects. ACVic will ensure all available help to make this combination work, but makes no promise or assurance that participating projects will entirely achieve their goals. To facilitate communication projects ACVic will organise presentations, either open or directed at a number of guests, depending on the type of project. To fund projects, support will be offered to find several options, including sponsorship, donations or partial contributions in the case of social projects, contracting services for entrepreneurial projects, or co-financing from private contributions and public subsidies. - Encourage entrepreneurs and emerging artists who can initiate projects. - Give visibility to groups or people working locally in the context of culture and creative economy. - Initiate complementary services to strengthen existing and emerging initiatives in the context. - Foster relationships between artists to stimulate networking and promote independent learning and self-management of new projects. - Detecting economic possibilities in the relationship between culture and city. - Building work environments open to a wide range of possibilities where art, architecture, design, culture management can find ways of action. 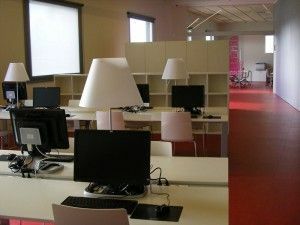 - Generate a space that combines the creation of projects and training, through shared learning, self learning and selfmanagement. - The selected projects will use an ACVic space and the facilities of the VIT, adapting to the rules and specifications agreed once projects have been chosen. - The selected projects will be entitled to a minimum of two tutoring sessions with professionals. These may be increased by means of a knowledge exchange scheme. (Depending on experience, the selected artist/ group may offer to supervise other projects, or be part of the open education programme at ACVic). - ACVic will give visibility to the projects involved in the nursery through the Web, through communications activities, and may include projects in the centre's scheduled activities. 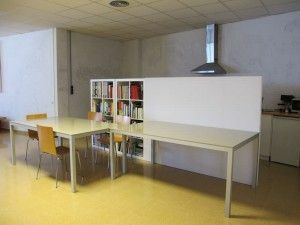 ACVic spaces: A shared space equipped with tables, chairs, kitchen, photographic camera, video-camera, video and sound editing suite. 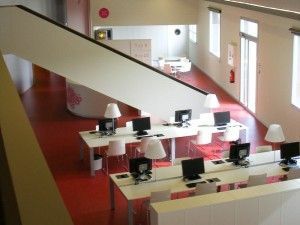 Areas of VIT: A shared space equipped with tables and computers (PC and Mac). The use of this space is offered to projects incorporating elements based on new technologies. Three appointed by ACVic Contemporary Arts Center and two persons designated by VIT Innovation Vic. - Reference to other works, accompanied by images and brief curriculum . - Detailed description of the project to be carried out, specifying objectives and work plan. - Description of knowledge or skills to participate in a training context. ACVic may use all images generated by the project's for communications and publications arising from the development of the programme. 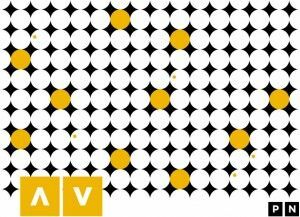 Viver de Projectes is a project of the LAB programme of ACVic and with the collaboration of VIT Vic Innovació Tecnològica.